I’ve been putting off writing about cheese because I’ve been afraid of what I might find. Its been 65 days since I started on my Plant-based diet and I’ve found that I’m not so much missing eating meat but I am eating more cheese. I know that eventually I’ll need to remove dairy from my diet to accomplish my goal of cleaning my arteries but cheese provides so much to a dish that you can’t get any other way, that I’m afraid the cravings might start. For those who just have to know about the most expensive stuff in the world. I must admit it is interesting to see what people will pay the big bucks for. 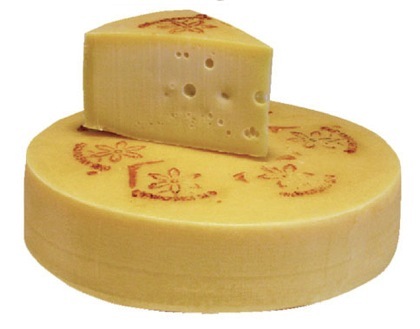 The featured picture is a picture of deer milk cheese. It is only $500/lb, but the most expensive cheese in the world is Pule cheese, made from donkey milk. It sells for $616/lb. -pictured below. Cheese is around 4000 years old on this planet. It is made from the milk of all animals but you’ll find it mostly made from cow milk. There are easily over 700 different popular cheeses in the world. Cheese can be found hard, semi-hard, semi-soft and soft. Most cheese is classified as vegetarian, but not vegan. Unpasteurized cheese with a range of flavours should not be sliced until purchase otherwise it will start to lose its subtlety and aroma. Keep the cheese in conditions in which it matures. Hard, semi-hard and semi-soft cheeses are stored in the temperatures from around 8 – 13 C.
This is the part I’ve been afraid of. 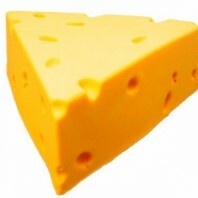 Lets take cheddar cheese as an example. Cheddar cheese is very low on the Glycemic index. It has a load factor of 1 on a scale of 0 to 250, which means that it releases its energy into the blood stream on a slow, long term basis. Cheddar is also very low on the inflammation scale with a -120. That was the good. The bad is that one ounce of cheddar cheese provides 113 calories, 92 of which are from fat and of the 9 grams of total fat, 6 grams are saturated fat. Worse than that is 10% of your daily intake of cholesterol will be in that one once of cheese (29 mg). Cheddar does have 7 grams of protein per ounce and 20% of your daily calcium needs for a 2000 calorie diet. Parmesan cheese – To show you the difference between hard cheese and even a semi-hard cheese like cheddar, lets look at parmesan which is one of the hardest cheeses. The bad isn’t quite as bad as with cheddar. Only 110 calories per ounce of which 64 are fat. It contains 7 grams of fat of which 5 grams are saturated. It only has 19 mg of cholesterol but a whopping 449 mg of sodium. 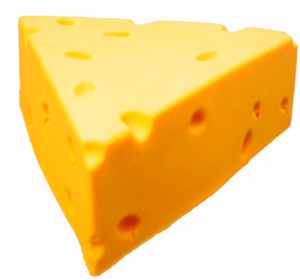 Lets look at one more standard cheese. Cottage cheese, which is considered a soft cheese. Cottage cheese ranks a 1 on the Glycemic load chart and a -6 on the Inflammation chart. Cottage cheese only has 27 calories per ounce, 11 of which are from fat. The good news is that less than 2% is saturated fat and only 1 gram of total fat. It does have 5 mg of cholesterol and 102 mg of sodium.